Sutton Street Pastors was set up in Dec 2005 as a response to fear of crime in the centre of Sutton. 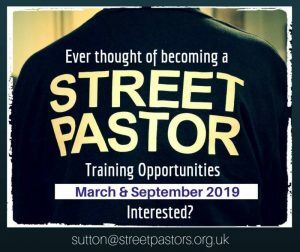 We work in partnership with Safer Sutton Partnership and are out every Friday and Saturday night between 10-3.30am, our Afternoon Pastors serve on a Friday and Saturday between 2-6pm. Do look out for us and say Hello. 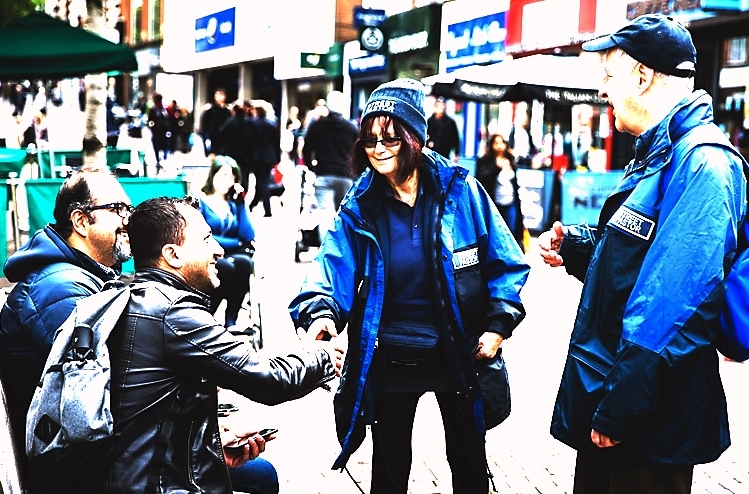 Our Street Pastors serve the people of Sutton on Fridays and Saturdays, seeking to care, listen and help when appropriate.